When I first discovered latch/busy/activity/Montessori boards, I. Was. So. Excited! 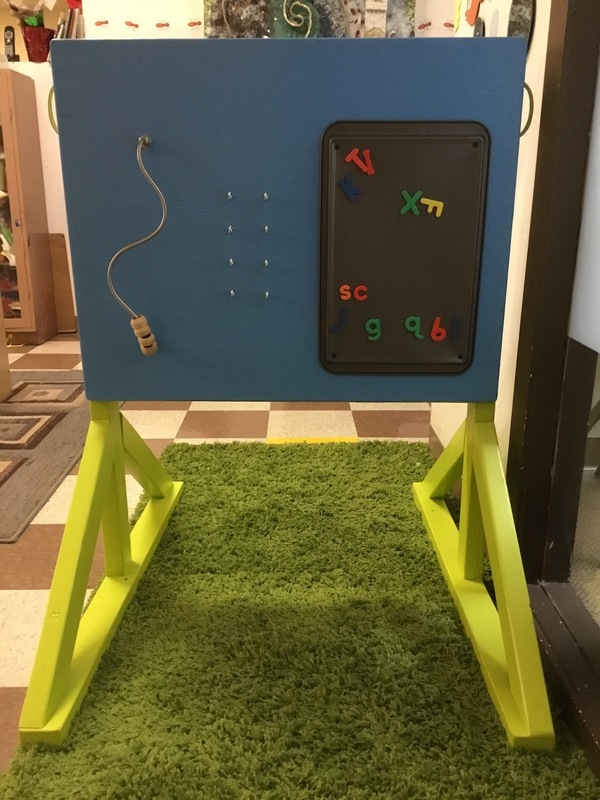 Here was something that could occupy the busiest of hands, help develop fine motor and problem-solving skills, and was customizable to suit the wants and needs of my little friends at Buddings! It couldn't be that hard to build one, right? Wrong! You see, I'm not a particularly handy person. Sure, I took woodworking class in high school! Sure, I passed... by the skin of my teeth! Thank goodness there's some one in my life who is A) good with tools and B) willing to help me use them: my wonderful partner, Alden! He documented the process to make me look like a real tool-wielding Mrs. Fix-It, but the truth is, he did a ton of work himself! 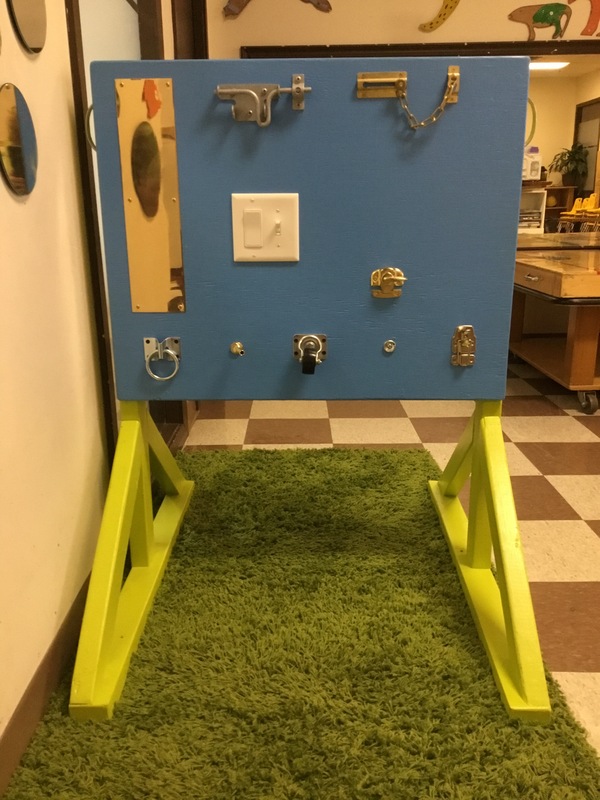 So far, we've got a variety of features: locks and light switches on one side, cookie-sheet magnet board on the other! What would you like to see us add? Email me at sarah@buddings.ca with your suggestions! The kids have been using it non-stop, sometimes 5 0r 6 at a time! It's become a robot-charging station, a rocket ship, and a superhero hangout. 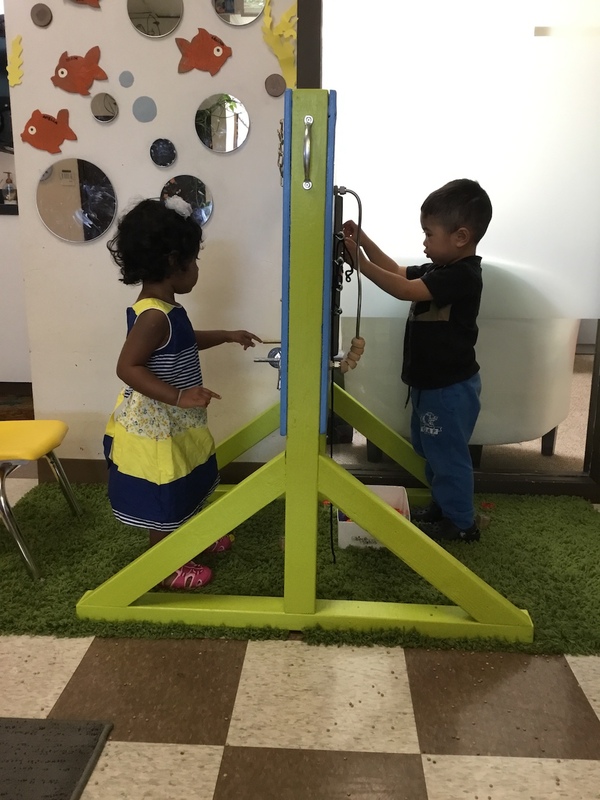 It's so rewarding to see the kids enjoying the board!